The UK’s premier off licence and convenience store chain is saving thousands of pounds a year within its supply chain by virtually eliminating the damage caused to palletised loads by forklift trucks at its National Distribution Centre (NDC). Bargain Booze operates a fleet of some 13 counterbalanced trucks as well as very narrow aisle machines and reach trucks at its 200,000 sq ft NDC in Crewe. The counterbalanced trucks in the fleet range in capacity from 1.8 to 3.0 tonnes and are used to unload incoming deliveries of beers, wines, spirits, soft drinks, crisps and snacks and groceries. Palletised loads are transferred by the counterbalanced vehicles to a marshalling area where they are collected by reach trucks and put away within Bargain Booze’s 22,000 pallet capacity storage system. Some 3,500 pallet loads arrive at the facility each week from suppliers of top branded products from the UK, Europe and around the world. The NDC serves Bargain Booze’s hundreds of UK-wide stores. Each retail outlet receives, on average, 8-9 pallets of stock per week and the site’s high throughput, coupled with the fragile nature of the products stored, meant that losses from stock damage were unacceptable. The situation was exacerbated by changes in the Packaging Regulations requiring businesses to recover and recycle a percentage of their packaging waste. The new packaging rules led many of Bargain Booze’s suppliers to cut back on the amount of packaging they use during the transit of their products and this, in turn, coincided with a notable upturn in breakages and stock damage at Bargain Booze’s NDC. 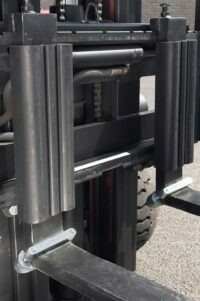 In an attempt to solve the problem, Bargain Booze fitted Jayline Products’ innovative load protectors to the forks of each of its counterbalanced trucks. 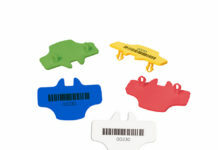 Made in the UK from heavy duty moulded rubber, the Patented protectors fit to the rear face of a forklift truck’s forks and absorb the impact of an incoming load. 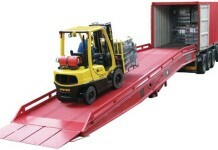 Quite simply, they provide a cushioned barrier between the load and the back of the forks. As the pallet is picked up, the protector prevents the load from hitting the truck’s forks or the fork carriage with sufficient force to cause damage to the load. The results were overwhelmingly impressive: stock damage within the NDC was virtually eliminated at a stroke and throughput efficiency was increased as less time was spent dealing with breakages. Available in a choice of sizes to fit 4” (105mm), 5” (130mm), 6” (160mm) and 8” (200mm) forks, the Jayline protectors are suitable for use with a wide range of materials handling equipment, including counterbalanced and warehouse trucks. The load protectors are quickly fitted using a simple yet robust strapping system and their slim profile means that a fork truck’s load handling capacity is not compromised by their use.